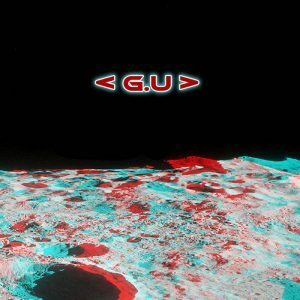 Background/Info: < G.U > aka Galactic Underground is an ambient project driven by the creative mind of Belgian artist Johan Geens also known as Venja. After having released several productions under the Venja moniker this self-titled debut album is the 5th edition in the so called “Belgian NeuMusik”-series set up by Wool-E Discs. Johan Geens got the help of a few guest musicians and the most famous artist is for sure Robert Rich who contributed to one track. Content: The sound < G.U > deals with matches with the name of this project. It clearly sounds space-like, but first of all it’s pure ambient. But the ambient basis has been empowered now by tribal percussion and than by psychedelic guitar parts played by another guest musician (cf. Erik Wollo). There also is a noticeable ethereal inspired cut revealing heavenly female vocals and one more song with the same singer, which sounds darker and more mysterious. + + + : If you’re into ambient music this album is definitely one you have to put your finger on. First of there’s this great DVD-like digipak featuring 3-D artwork you can watch with accompanied 3-D glasses. Sound-wise “Galactic Underground” is a diversified ambient opus featuring numerous elements, which all are related by a ambient and more especially astral atmospheres. So it’s not really a coincidence if the album features NASA sounds. The guest artists all bring a great contribution to this work as well. “Mirage” featuring Robert Rich is a noticeable cut, but especially “Burning” featuring the angelic vocals of Roksana Vikaluk is absolute marvelous. The tracks have been progressively built up leading the listener into an imaginary universe of peace and prosperity. – – – : There are a few tracks that can’t totally convince me, but you don’t hear me to complain in front of such a great and artistic production. It could have been a bonus to get more songs with female vocals, but I’m afraid it says more about my personal taste and expectations. Conclusion: “Galactic Underground” sounds as a beautiful sonic mission throughout the galaxy; a well-crafted and artistic creation I can only, but strongly recommend. Best songs: “Burning”, “Blooming”, “Mirage”, “Sky Ripped”.